FREE 2-DAY SHIPPING on orders over $99! Don't let your CPAP hose become a breeding ground for harmful bacteria. Lumin is the fastest and easiest way to sanitize your hose and humidifier. 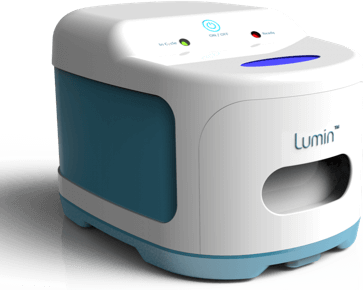 The Lumin CPAP mask cleaner operates with a unique specialized high power UV-C light source, that is targeted at the narrow range of light that is proven to kill harmful bacteria, viruses, mold and fungus (254nm). This is the same type of light source that is used in hospital operating rooms and sterile clean rooms. Kills 99.9% germs in the time it takes to brush your teeth. Unlike other systems that rely on ozone, a gas that the EPA describes as an unsafe and severe lung irritant. If it fits, the Lumin can sanitize it. No replacement parts, filters or solutions to purchase. 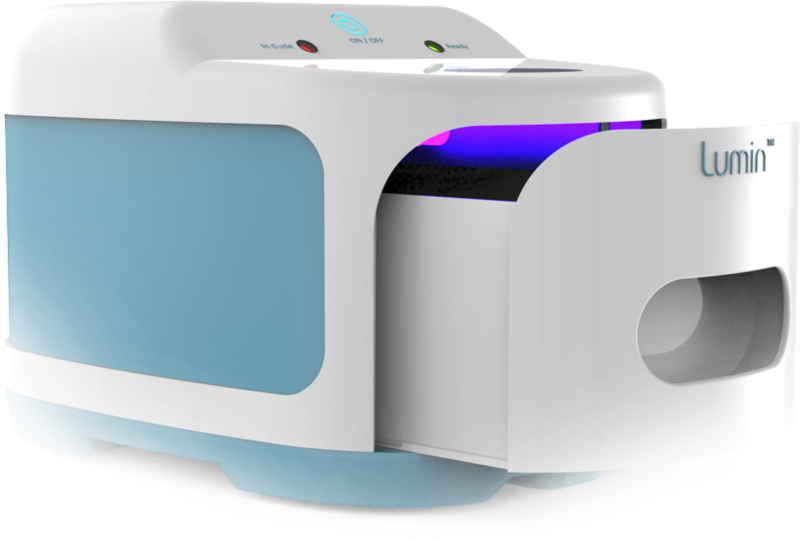 UV light will disinfect up to 99% of harmful bacteria, pathogens and fungi that can cause infection and illness. UV light is also the safest disinfection option on the market, there is NO HARMFUL OZONE. Ozone has been shown by the EPA to irritate the lungs and respiratory system, making it extra harmful for people with respiratory illness. Just as advertised easy to use. Both wife and I use CPAP masks and water chambers fit in easily. Also great for sterilizing toothbrush and wife’s hearing aids. I used my flex money to pay it is allowed under medical equipment. The product is as it states, simple 5-minute cleaning cycle with no chemicals, liquids or other materials. It works fine and cleans both humidifier tanks, lids, and headgear. I use the chemical disinfectant for cleaning the hose. I love this product. Finally, a quick and easy way to sterilize your equipment. The machine is easy. Just plug it in, open the drawer and put in your equipment, hit go and wait 5 minutes. This also gives you peace of mind as well. The cost is well worth it. 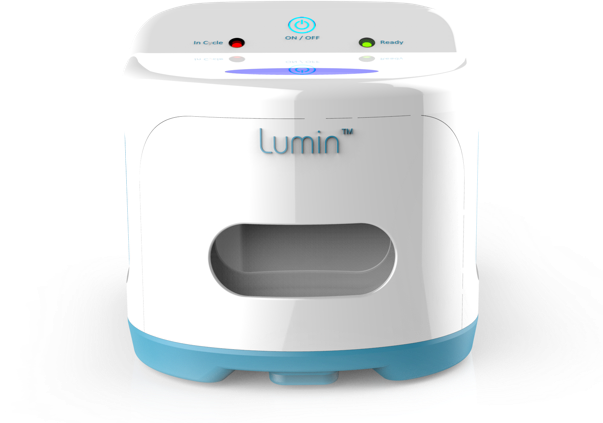 Sign up to be notified when Lumin Bullet is available.